Because we live in a capitalist society, choices available are often what we want, not what we need. I look no further than my experience today at The Cheesecake Factory as a metaphor for all of the “choice gluttony” we face in modern society. The Cheesecake Factory menu is ridiculous. I love the place. 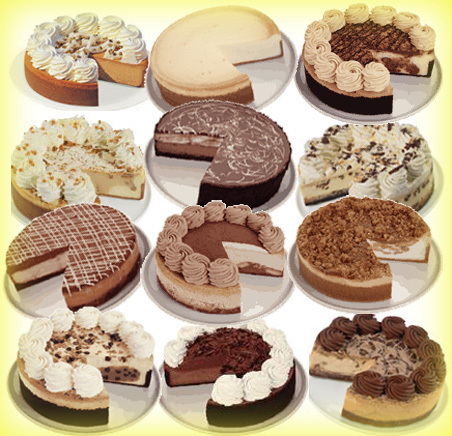 It has so many options of meals to eat, including appetizers, entrees, drinks, and of course, cheesecakes and desserts. Hidden on a separate menu is the nutritional “value” for every meal they serve. What’s terrifying is the healthy menu includes options under 600 calories. Alone, they aren’t awful. I’m supposed to eat 1200-1500 calories per day, and that’s the least any adult is supposed to eat, even if you’re female and petite like I am. But when you figure the average person going to have a meal at The Cheesecake Factory also has some of the bread and butter brought to the table, plus a non-alcoholic drink or cocktail, a shared appetizer, and shared dessert, and you’re already talking about 2000 calories in one meal, at minimum. Most of the meals on the menu are 1200 to 2000 calories alone. Yet, this restaurant is one of the most popular chains in the US because they give people what they want, and a lot of it. If the restaurant only presented us with five options and all were 500 calories or less, it wouldn’t feel so depressing to select a healthy option. But with a giant menu of decadent choices, it’s hard to resist the rest of the menu. I was fairly good — I did have a small slice of bread, but then I ordered the ahi tuna salad (580 calories) and drank water. My boyfriend, however, got a 1300 calorie spiked milkshake, which I had a few sips of (approx 200 calories worth?) and I also had a slide of white pizza that my boyfriend’s father offered to me, as he couldn’t finish the entire pizza on his own, and I’m guessing that was another 150 calories. So, even trying to be good, I managed to eat 1000 calories at dinner. This is reflective of how difficult it is to be “good” from a financial standpoint in life. My boyfriend is on the market for a new (used) car, and I’ve been doing some research into cars as I also want to buy another one to replace my busted 99 Toyota in the next few years. There are so many options, it’s overwhelming. I have extreme anxiety over making important purchase decisions. It’s not just cars, and what to eat. It’s also clothes, bags, shoes, you name it. I spent the last four years looking for a new purse (the one I was using was the size of a wallet and I couldn’t even close it with my makeup inside) and this week I finally went to Nordstrom Rack and, in a manic moment, bought a new purse and wallet, not to mention a too expensive halloween costume composed of clearance items. At the mall, I’m so overwhelmed by all the different choices of what to buy. No wonder brands do so well for themselves — it’s much easier to attach yourself to a brand and always buy clothes from that brand vs always having to shop from scratch. There are times I wonder if I’d be happier if I lived a simpler life — one without the makings of an uber-connected, capitalistic and materialistic society. I love “pretty stuff” — I’m the girl who is happiest when she’s wasting away her Saturday inside a Sephora — but ultimately after buying things I still feel empty. I enjoy my new bag (its useful, and I got it on sale for $99 instead of $260), but I still feel like I make the wrong decision in the purchase. Maybe the bag is too big — maybe I’d be better off with a different one — maybe I’ll find the perfect bag in a week and I won’t want to buy another one. Unless you’re filthy rich, at some point and quantity, choices only make you feel helpless. And maybe, even will all the choices available, the healthy option is the one not on the menu — avoiding the options altogether, and cooking your own “meal” at home. This is a very interesting analysis! Am on a diet right now and so far it seems to be working. It's a very gradual process though. I have the same caloric needs as you being petite as well. It's tough to have to limit calories to 1500 but I figure, over time, you get used to it and you'll need less to feel full. It's easier to have the temptations out of sight though — imagine living in a different environment with "less" and it's surprising how doable it is.